Good Day, all. The rain continues to fall here in Northern California. It could well be in the high 90s by now so we’re digging the rolling thunder. I am taking a few minutes here on the blog to share the good news of a rock musician Soft Boy who went all the way! I must share this picture first. The squirrels have breached the bird dish!!!!! 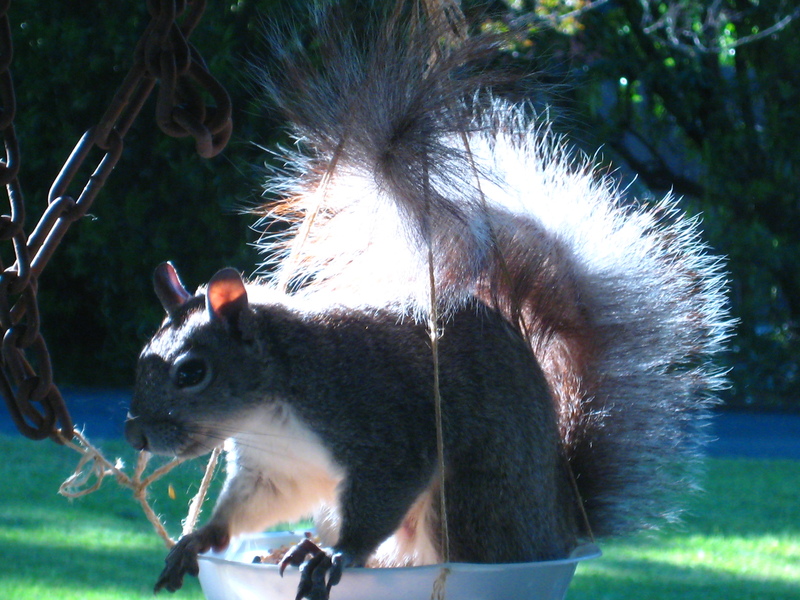 I should have never, ever, put peanuts in there. 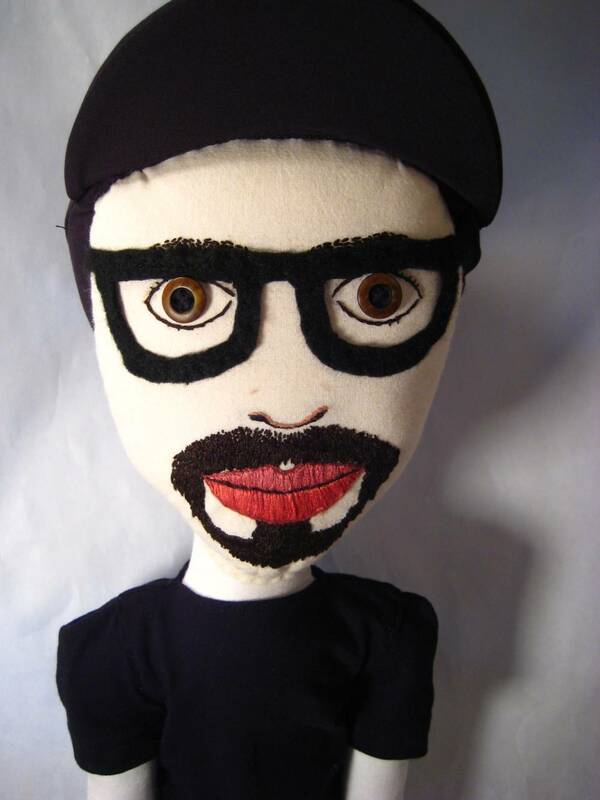 My most recent project, which I was not at liberty to reveal was intended as a gift for beloved New Jersey rocker, Pat DiNizio. Pat has been making great music with his buds in The Smithereens since the 80s. Lately one of his true-musician enterprises has been in home concerts! DiNizio makes house calls. I was lucky enough to see the Smithereens when they played The Backstage in Seattle. I worked there at the time and they rocked the house! Great energy and really friendly, good guys. 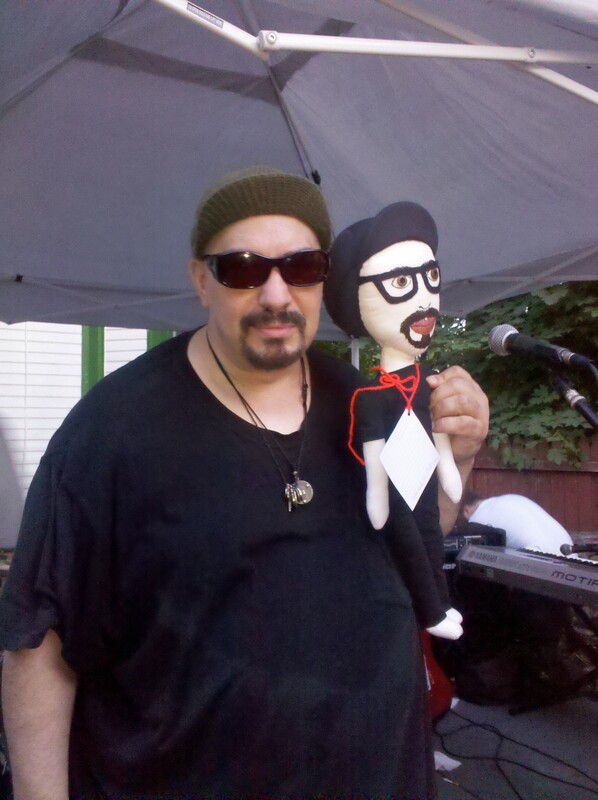 My most faithful patron, JK, took this picture of Pat D. with his newly arrived little Soft Boy Pat DiNizio. 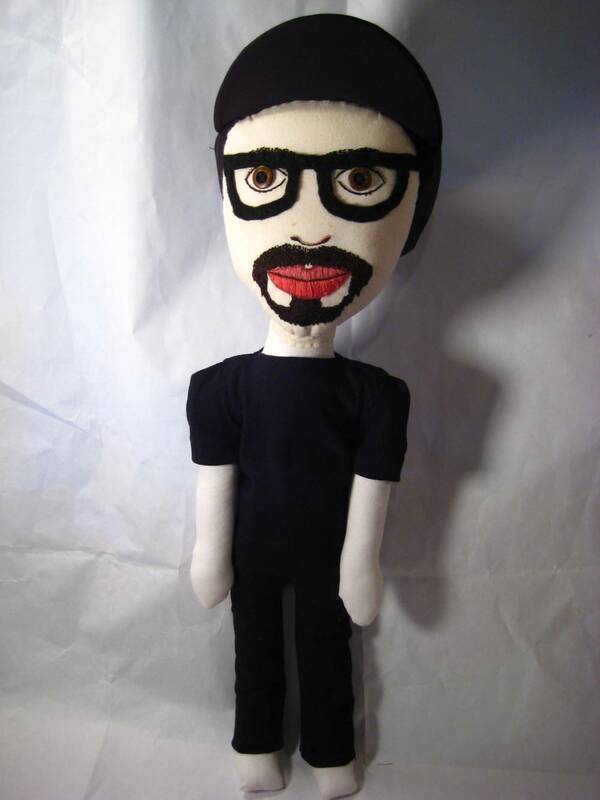 It was Pat’s icon on Facebook over the weekend.This doll was one of those projects that just flowed so smoothly. All the bumps were external. On the last day, in which I nail down all the little details, I was running short on time (kids, do not procrastinate, even a little). This last-minute work was done with gardeners’ lawn mowers, and gas-powered leaf blowers howling outside my workspace windows. The noise and the exhaust fumes made my head swim but I kept my eyes on the prize. Post office by 5:15 pm or bust!! Everything went off without a hitch. Blessings were bestowed. The little rocker kept good time. 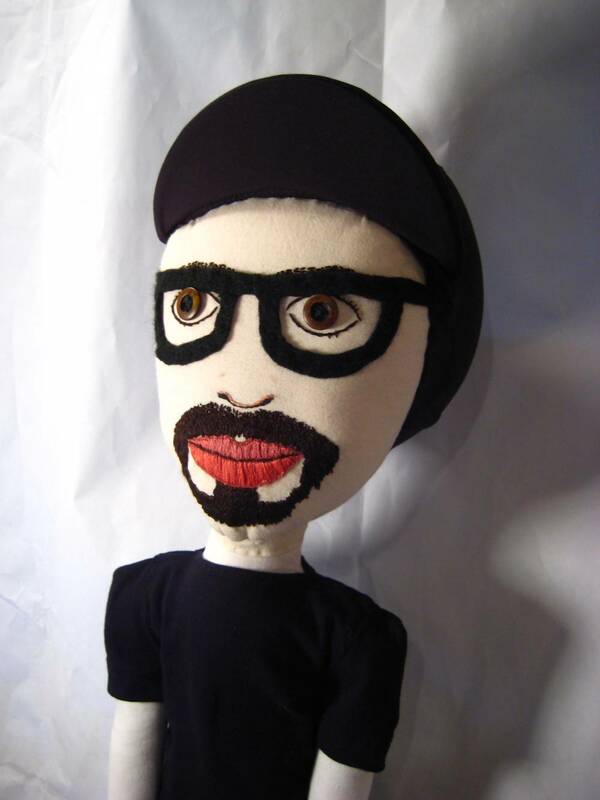 This entry was posted on May 31, 2011 at 9:37 am and is filed under Art, constructions, design, dolls, handmade, music, projects, rock n roll with tags Pat DiNizio, post office, rain, rush, Smithereens, squirrels. You can follow any responses to this entry through the RSS 2.0 feed. You can leave a response, or trackback from your own site.